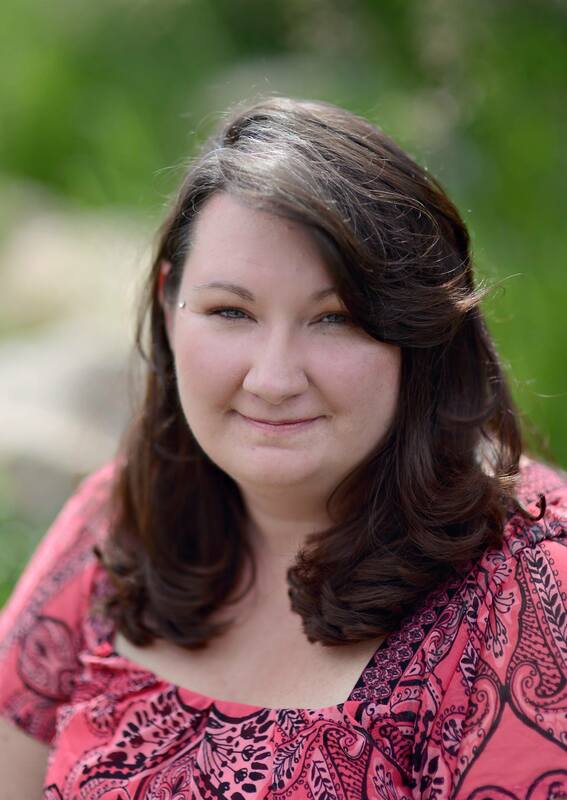 Mandy L. Rose studied creative writing at Colorado State University. She is always adopting new literary mothers and lives in Colorado with her two young children. Her poetry and prose have appeared in Pithead Chapel and in the anthology, A Poetic Inventory of Rocky Mountain National Park. She has poetry forthcoming in the protest journal Thank You for Swallowing. I find it impossible to choose one favorite. While there are so many characters I love and admire as an adult, I spent my childhood with Ramona Quimby, Nancy Drew, Laura Ingalls, Jo March, Charlotte the Spider, Trixie Belden, Mary Lennox, Matilda, Francie Nolan, and Scout Finch, to name a few. Through them, I imagined myself brave, resourceful, articulate, defiant, even disobedient. The disobedience was especially important, because in real life, I was, and perhaps still am, too well-behaved. They showed me that being a girl was more than just a dress and a set of expectations imposed by others. It was easier to embrace my tendency to carry around a notebook and give myself permission to fill it, because I grew up reading girls who were defiant and outspoken, even when I wasn’t. When life was tough, they were tougher, and I wanted that strength as my own. They are also characters I have made a point to introduce my children to–my son, as well as my daughter, because I believe they both need to read books by and about ladies with moxie. I bought a copy of Emily Dickinson’s collected poems from a rummage sale when I was eight or nine. I remember opening the book to the words, “Have you got a brook in your little heart,” and thought YES. I had to have it. I had no idea at the time what a wellspring would be opened. I fell in love with her irreverent use of punctuation, sound, and condensed language. I have studied Emily more intensely since then, including her letters, and consider her a literary mother, the first of several. While I would never compare myself to her, it is easy to see her influence in my poetry. She is a touchstone for me, a source of comfort and inspiration. As a woman, I am fascinated by her quiet ferocity and often find myself referring to her as many would a friend. This is not to say that I talk to Emily, but I do believe that some of my best poems find themselves in conversation with hers. You could say they are of a kind. She is also an important voice in my manuscript, Frost-Heave, and I named my daughter after her, making her present in daily life. She once wrote of a heart so heavy, her arms felt burdened by its weight. In this, too, I feel a familiarity. How did your essay Five come about? The complexity of familial abuse makes you find ways to love those who have hurt you. You could say I wrote this essay because sometimes I still need to love my mother, even though that love is complicated. The opening line repeated in my head numerous times, as if an incantation, before I took pen to paper. I have in my possession a series of photographs I can neither bring myself to display nor discard, and the piece came about because of their connection to each other. My mom once pointed to the photo with the daisy dress and said it was the last time she was innocent. My ex-husband once showed me the picture of himself at five and said, “this is right before my mom left.” For my daughter, time is still sometimes measured in terms of “before daddy hurt me” and “after my daddy hurt me,” and the photos from that time make the same distinction. We don’t always have more than a mental image of our “before” moments, but it is impossible for me to look at any of these photographs without loving and grieving for each of them a loss of innocence that cannot be restored. This kind of repeated familial fracture is something I have thought about a lot. Much of what I write is about the cycles of familial violence, often trying to write toward an understanding and peace I don’t yet feel. How did this happen? Why did it repeat? How can I make sure it stops here? What could I have done differently? Underlying all of that, a desire to replace anger with an emotion I can live with. I am trying to write a world I can live in. Put another way, Dan Beachy-Quick once told me, “what you put into the poem, you protect. “I am still trying to protect these children. When I think of my mother and ex-husband as they were at five, I remember they were once innocent and then wounded. When I think of my daughter at five, I am trying to forgive myself for letting her go that day. We were all five, once, and I think you can find something to love about anyone if you make them five. My mom died a few years ago and, somehow, thinking of her at five makes it easier to think that she thought of me tenderly when I was five. I know she must have. I have had the opportunity to read my work in a variety of settings, but reading at The Tattered Cover, a beloved Denver bookstore, was a milestone moment. As a girl, I used to make space on a shelf, pretending I would one day write a book that would find a home there. A few years ago, I helped curate and edit an anthology, A Poetic Inventory of Rocky Mountain National Park, published by Wolverine Farm Publishing. While National Geographic, the Parks Service, and members of the scientific and local communities gathered to inventory species in the park, over 60 Colorado writers contributed works of poetry and prose, each named after a species in the park. At the Tattered Cover, I spoke about the experience of working on the project and read my poem Rosa woodsii,Woods’ Rose from the anthology. It was wonderful to see our project on the shelves and to participate in such a wonderful collaboration. What is your favorite piece by another writer from Issue One? How We Roll, by Rebecca Golden. The absurdity of dating, funerals, and family feuds told through irreverent, rapid-fire humor was perfectly captured. Hilarious lines about things like a hearse needing a jumpstart are woven into a piece that also puts a spotlight on the messes of love, grief, relationships, and otherness. I’ve read some of Rebecca’s writing before, but this made me want even more. I’m currently submitting my poetry manuscript, Frost-Heave. Separated into seasons, it explores the cycles of familial and relationship violence through the language of wildfire eradication techniques, scarification germination, and through a series of redefined terms–including dissolution. There are other projects, but this one is demanding my attention. Alice Notley. Absolutely Alice Notley. She starts the poem, 30th Birthday, with the lines “May I never be afraid/especially of myself.” If I could teach my daughter one thing, that might just be it. I’m trying to learn that lesson. Her writing looks so closely at the self, at consciousness, and there’s a great interview with her in the Boston Review, and I love her statement, “I’m a hugely but quietly disobedient person.” Her work often seems to concern itself with cultural and social disobedience, and if she’s afraid to write anything, I don’t know what that would be. This entry was posted in Issue One, Les Femmes Fatales. Tagged Alice Notley, Emily Dickinson, Femmes Fatales, Issue One, Mandy L Rose, Rose. Mandy…you are fierce. Thank you for sharing your story and your gift. We have been waiting.